Tamás Makány and his family moved to Mountain View two years ago after the commute from San Francisco became too much. TAKING A CLOSER LOOK: Part two of a series exploring key results of the 2018 Portrait of Bay Area Jewish Life. The Orthodox synagogue where Rabbi Shlomo Zarchi serves as spiritual leader, Chevra Thilim, was founded in 1892. It’s weathered a lot of changes. But now it and other historic synagogues in San Francisco are facing a new challenge. Since 2011, about 25,000 Jewish adults have left San Francisco. And more are planning to leave. In a recent study, nearly a third of Jewish households report they will “definitely” or “probably” move away in the next two years. “It’s something that we rabbis talk about all the time,” Zarchi said. 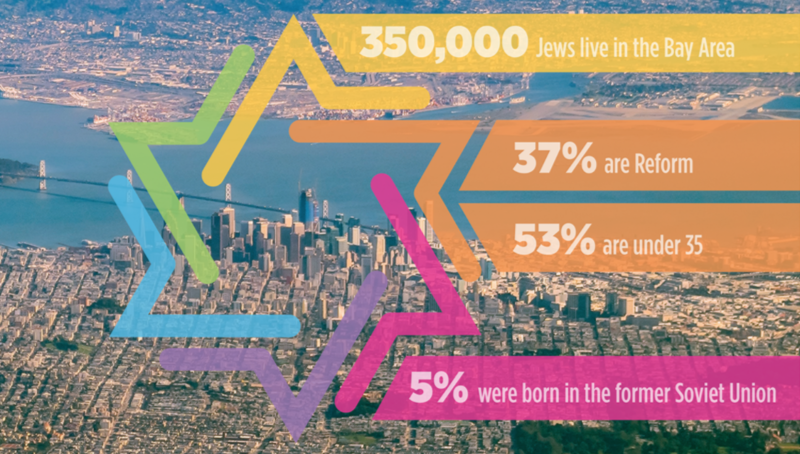 The 2018 “Portrait of Bay Area Jewish Life and Communities” released by the S.F.-based Jewish Community Federation earlier this year shows that only 61,000 Jews remain in the city, representing a meager 17 percent of the Bay Area Jewish community as a whole. It’s not a new problem. In 2016, J. wrote about Jewish families getting squeezed out of the city due to high housing costs. And it’s not that fewer people are coming to San Francisco. The problem is that they aren’t staying very long. According to the data, 33 percent of Jews in San Francisco are planning to leave the city, with another 5 percent who aren’t sure. That’s more than anywhere else in the Jewish Bay Area. In contrast, in the North Bay, which has a greater number of Jews in the over-34 demographic, fewer than 20 percent are planning to leave. In the South Bay and the East Bay, it’s about 25 percent. “We’re like a university campus where we’re starting with freshmen every three or four years,” said Gordon Gladstone, executive director of Reform synagogue Sherith Israel, which was founded in 1851. That might have something to do with the average age of Jews in San Francisco, with 27 percent in the 18-to-34 range. That tends to be a highly mobile age group, moving to follow jobs or housing. “Things have shifted a lot, especially in the last decade,” said Mintz, who has been in the city since the 1980s. 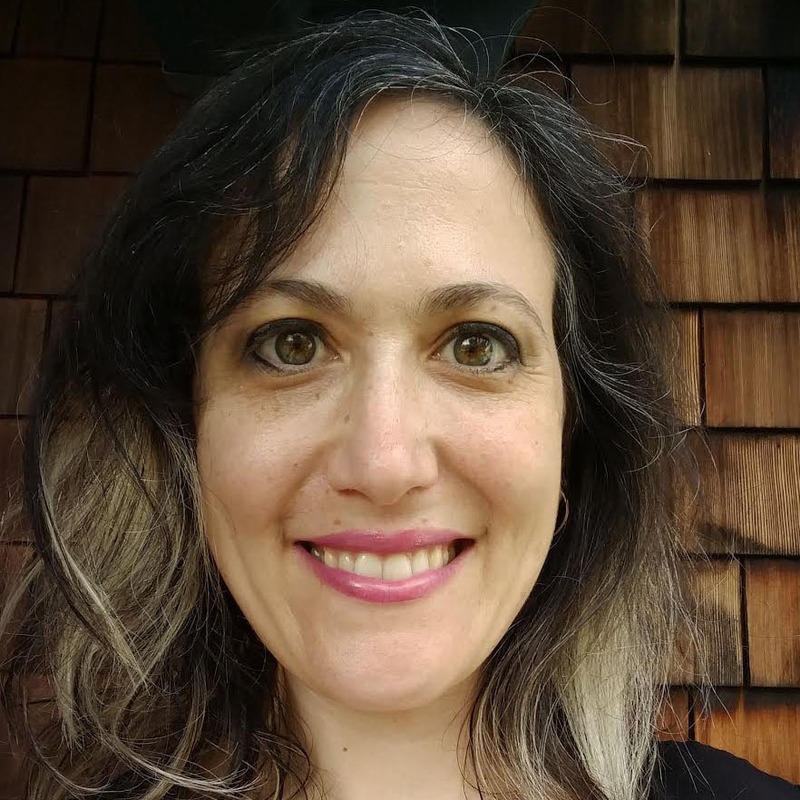 Though participant numbers at the synagogue’s popular Late Shabbat and oneg parties are steady, she said, it’s because there’s a constant influx of new people to the event; she estimates 30 to 40 percent each time. That transience changes the very nature of the community. “It’s establishing relationships when you know that they might not be our congregants in two or three or five years,” she said. Beyond simple numbers, Mintz said she is distressed by the lack of socioeconomic and racial diversity. And like Zarchi, she finds that many of the young adults she counsels end up moving to other parts of the Bay Area, or even other parts of the country, because they can’t afford to live in San Francisco, the second-most expensive place to live in the U.S.
“I do have a real spiritual ache when I think of people being forced out of the city,” she said. Steven M. Cohen, principal investigator of the Federation study and a research professor of Jewish social policy at Hebrew Union College-Jewish Institute of Religion, said it’s a reasonable inference that the number of Jews in San Francisco as a percentage of the Bay Area Jewish community has shrunk since 2004. Compared with S.F.’s 17 percent slice of the pie, some 35 percent live in the East Bay and 34 percent in the South Bay. The Bay Area population on the whole is on the move: About two of five study respondents moved into their current residence within the last five years. That moving around makes it hard to build Jewish community life, said Julie Golde, the Federation’s senior director of community impact. Sarah Nathan is moving to New York for a new job. For 30-year-old Sarah Nathan, the transient nature of the city wasn’t a problem. Instead, it taught her to build a community out of what she had, and inspired her to work harder on making connections and being open. Now she, too, is leaving San Francisco for New York, where she has accepted a job in food systems innovation. “I really, really love San Francisco, but this job opportunity was way too good to pass up,” she said. San Franciscans usually aren’t going as far as Nathan: 58 percent said they were likely to stay in the Bay Area. Tamás Makány moved to San Francisco in 2008. He and his wife had been living in London before Makány got a postdoctoral fellowship in Stanford, but they didn’t really consider moving to Palo Alto. “It just felt too suburban,” he said. 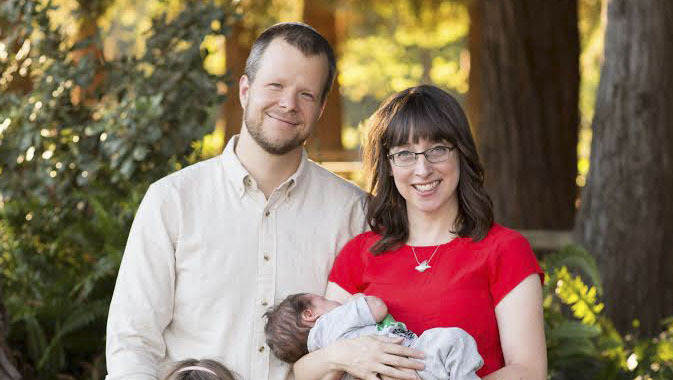 The couple, who are Modern Orthodox and joined S.F.’s Adath Israel, were happy to commute to their jobs at Microsoft and Facebook — until they had children. Two years ago they packed up and moved to Mountain View. “We’d been commuting the seven years before and it got to the point where we felt we can’t do this anymore,” he said. Yet even in the South Bay people are leaving in high numbers, according to the study. The only other place that came close to S.F. levels of people wanting to move was Santa Clara County (which includes San Jose, declared the nation’s “hottest” housing market, according to Zillow). In fact, Makány and his wife don’t see themselves staying too long — they’re planning to go to Singapore for a while and may not come back to Mountain View. That coming and going seems to be the new normal. But what can synagogues or organizations do to keep S.F. Jewish community connected? For Mintz, it means being ready to help young adults deal with housing crises and feelings of isolation, while for Jewish Family and Children’s Services professionals it means being where people need them. “We certainly have been extending and strengthening our services in all the five counties we serve,” said associate executive director Nancy Masters. For Orthodox synagogues like Adath Israel, it means thinking strategically, Rabbi Joel Landau said. 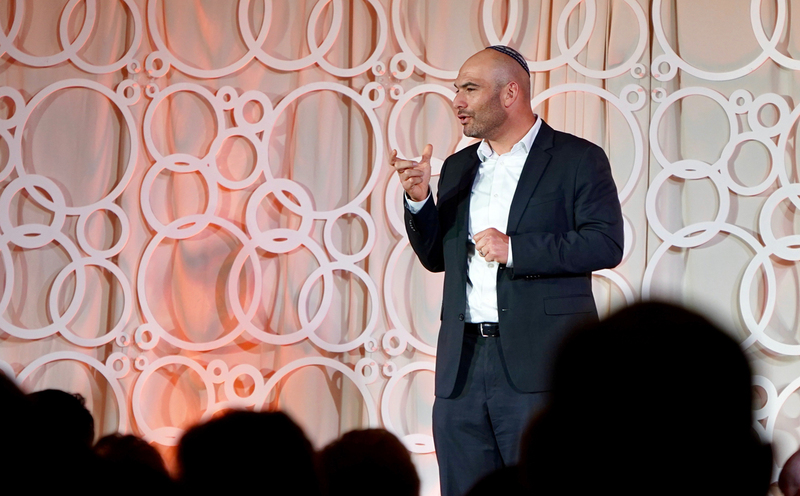 With a smaller population of Jews, he feels he has to expand his services to connect with the non-Orthodox population. “If I want to continue to exist I have to cater to a non-Orthodox world,” he said. And for the JCC of San Francisco, it means drawing people from outside the city. “Forty percent of our ticket buyers and our cultural participants come from outside San Francisco ZIP codes,” said CEO Marci Glazer. But not everyone leaves. Carol Spector and her husband, Steve Estes, moved to San Francisco from the North Bay in 2003 for personal reasons. “Socially, Steve thought that it would be more fun to be in the city,” she said. For them, buying an apartment meant they were able to avoid the uncertainty and instability of rising rents. 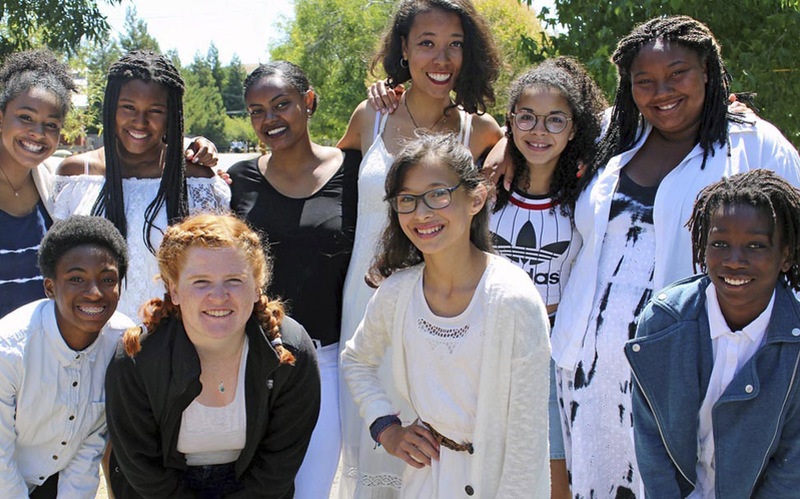 They formed a stable group of friends through Congregation Beth Sholom, where their daughter Zinnia went to preschool, Hebrew school and will now mark her bat mitzvah. The Conservative synagogue created just that kind of tight community that makes an impact. “You’re with parents of kids that are in your kid’s programs, and you’re getting to know their parents,” Spector said. Their daughter also spent a lot of time in the JCC’s afterschool program. “The JCC was a huge oasis for Zinnia and us in the city,” Spector said. That kind of bond-building may be the best way forward — at least, that’s what Zarchi thinks. “I think if we’re going to get people to stay here, we have to offer them something to remain Jewishly engaged,” the Chevra Thilim rabbi said. But the panacea of “engagement” remains elusive, while housing costs and commute times continue to rise. “None of this is in the control of an individual rabbi or an individual Federation or any other Jewish organization you care to name,” Gladstone of Sherith Israel said. Even if the numbers are a bit of a downer, Zarchi said he was glad the Federation provided some hard numbers through the study results.